In 2017, William received the "Burnaby A-list award" as one of the "Top 3 Favourite Dentist" voted by the citizen of Burnaby. William is both a registered dentist and pharmacist in British Columbia who received all his university educations in Saskatchewan. Prior to dentistry he practiced as a registered pharmacist throughout the lower mainland. Upon completing his Doctor of Dental Medicine degree with distinction in 2002, he joined a Port Coquitlam group practice and in 2006 has chosen to continue a long existing dental practice in the Burnaby Heights community, where he resides with his family. By regularly attending dental seminars, workshops, and conferences he keeps abreast of the many industry developments. William continually earns the highest respect from both patients and co-workers, who describe him as attentive, caring, empathetic and professional. His passion for helping others through dentistry has extended overseas, where he has been involved in training and helping establish dental services in villages located in China. Outside of dentistry, William loves spending quality time with family and friends, traveling, biking, hiking, snowboarding, camping, trying out different recipes for cooking and all the activities that his life enjoys. He is proud to continue serving patients who, for years, have made the Capitol Hill Dental Clinic location their personal choice for dental care. He looks forward to welcoming new patients who will help shape his vision for the clinic’s future. Dr. Cindy Fong is a graduate of the UBC Faculty of Dentistry. She regularly attends courses and seminars that keep her up-to-date on the latest in dental research and technology. In the past, she has supervised dental students and dental assisting students as well as participated in dental projects headed by the British Columbia Dental Association's Access to Care Strategy Task Force. 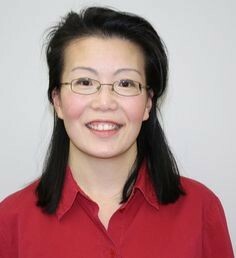 Dr. Fong strives to ensure a stress-free enjoyable experience for each one of her patients, from the very young to the young at heart.